Giant Observation Wheel at Seattle Center! Get ready to take a ride on the tallest observation wheel on the West Coast! A new attraction is coming to Seattle Center, a 200-foot observation wheel slated to open on April 21, 2011 in recognition of the 1962 Seattle World’s Fair opening date. It will remain in operation until the end of The Next Fifty anniversary celebration in October 2012. 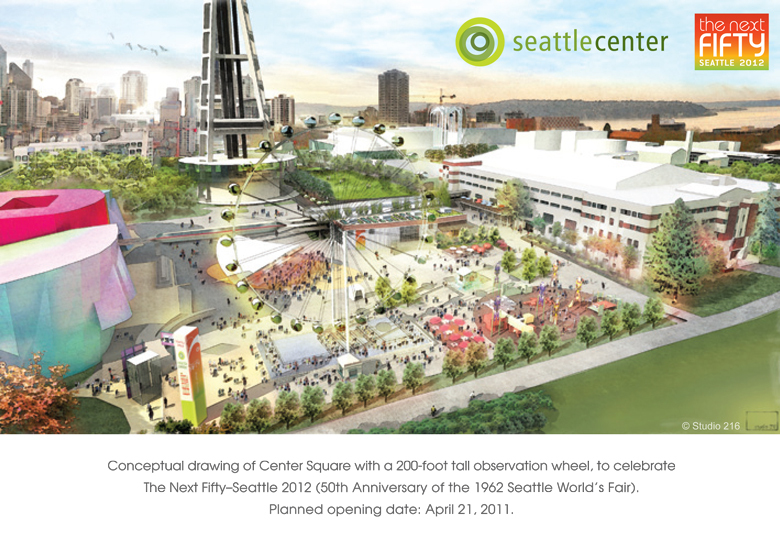 The elegant and technologically advanced giant wheel harkens back to the World’s Fair and nods to a future vision for Seattle’s central gathering place. 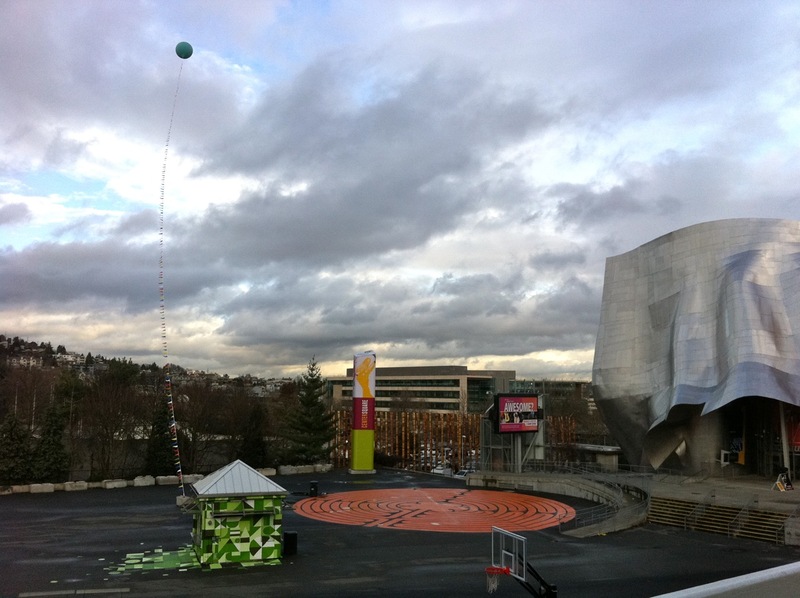 The wheel’s fully enclosed and climate controlled capsules will hold up to eight passengers and provide 360 degree panoramic views of Seattle Center and the surrounding areas. Watch for the wheel in Center Square and join us for a breathtaking and affordable ride starting in the spring of 2011! It’ll be just a monorail ride away! This entry was posted on December 9, 2010 by Megan Ching. It was filed under Information, Photos, Upcoming Events and was tagged with 200 feet, Attraction, Downtown, ferris wheel, Giant, observation wheel, Seattle, Seattle Center, The Next Fifty.